We ended up in Lenzburg, IL, after a wrong turn. Miles of highway somehow melt the mind into an open road oblivion. Lenzburg is a small town of around 600 people, normally something we might blink and miss. But on this day, a roadside yard sale caught our eye. The yard was filled with bikes, lanterns, and camping equipment, none of which we really needed but we welcomed a good excuse to get out of the car and stretch. One week before making our wrong turn in Illinois, we received one of the most specific requests to date. Some of that message read: “I would like to see my donation go to help a family who has a baby with CHD. 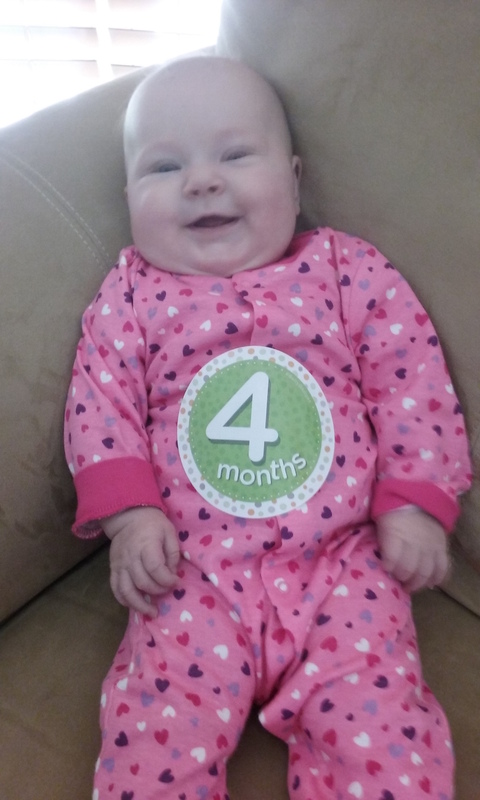 My donation is to celebrate my granddaughter Bella, who was born with a heart defect. She had 3 holes in her heart. When she was life-flighted to children’s hospital at the Mayo Clinic, she was in heart failure. I did not know if I would see her alive again. I would like you to tell my Bella’s story, to help ease someone else’s worry. I would be happy to show that there is HOPE for someone else’s baby.” We can’t deny that initially this task felt daunting. How could we fulfill such a specific request? In our limited time, how would we find a family with such a specific need? Once again we were put in our place as we realized wildness finds us wherever we are. After returning to the car to figure out exactly what to do, we returned to LouAnne to introduce Project Wildness. She was caught off guard at first, but she quickly got her daughter-in-law, Amanda (BrieAnn’s mother), on the line and passed Nate the phone. In that conversation, Amanda invited us to her home just across town to meet BrieAnn who is now 8 months old. Just twenty minutes after our wrong turn we found ourselves in Amanda’s home, face to face with the cutest smiling little girl. It still seemed so unbelievable, this course of events. We flipped through photos of the family’s time in the hospital and heard stories of the financial burden and emotional heartbreak they have endured. We saw BrieAnn’s chest scar, now just a reminder of the healthy child she has grown to be. True to our donor, Karen’s, request and a generous donation from Brooke and Rick of Bell State Bank and Trust, we were able to write BrieAnn’s family a check for $1,000 to help with anything they might need as they move forward, a random act of kindness made possible by the love and generosity of so many. But the Lance family’s journey is not over. BrieAnn continues to have periodic checkups to ensure she is growing stronger and healthier each day, which means more time to and from the hospital for her and her family. If you’d like to help the Lance family, please send us an email at projectwildness@gmail.com to help you get in touch! To Karen… Your request couldn’t have played out in a more meaningful and powerful way! We drove away that day in disbelief feeling a happiness we can’t put into words. We so appreciate your donation and your beautiful Bella’s story. The family you helped with your request and donation was almost a mirror image of your own. We shared Bella’s story with the Lance family leaving hope with them as they was BrieAnn grow up as healthy as Bella has. Thank you, thank you, and thank you. This story changed us in an incredible way! To Brooke and Rick… We received your donation last year and waited for exactly the right time to use it. And truth be told, we couldn’t have provided such financial help to the Lance’s without your generous donation. That decision to give to Project Wildness carried over into the life of a child who needs all of our support. Take pride in knowing you helped a stranger in Illinois through some very challenging times. We can’t thank you enough for your help! To Bell Bank… The Pay It Forward program you have in place is truly something to be admired by any corporation. The lives changed and people touched through these random acts of kindness are immeasurable. We are so grateful for this program and the employees you have empowered to change the lives of so many. Keep doing good!